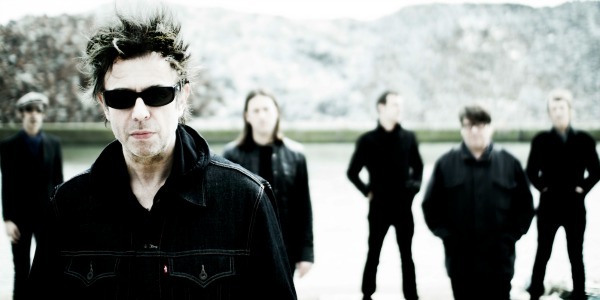 Echo & The Bunnymen have premiered a new recording of what the band calls “the greatest song in the world,” a slowed-down, piano-and-strings take on the classic 1984 single “The Killing Moon” that is to be included on the group’s upcoming album The Stars, The Oceans & The Moon. Due out Oct. 5, the new album is being billed as a collection of “some of their greatest songs” re-recorded “with strings and things attached.” It will feature new re-recordings of 13 Bunnymen classics, plus two new songs, including “The Somnambulist,” which also can be streamed now. And you can hear the new version of “Seven Seas” over here. The band will follow the album’s release with a 13-date North American headlining tour that opens Nov. 17 in Toronto and wraps up Dec. 4 in Los Angeles. Average then, worse now. Should have packed it after HUH. No need to address the pointless slight to one of the greatest songs ever (“average then”?). The bigger issue is that someone on this planet believes that Ocean Rain should never have been made at all. What else? Should the Smiths have packed it up after Meat is Murder? Or the Beatles after Rubber Soul? Don’t listen to Marty, he shouldn’t be allowed near the internet. Seems pretty non-controversial. Bands have been doing acoustic reinterpretations of their own material for oh, basically ever. Dig it, buy it. If not, it’s not like it wipes the original version out of all time and space. The two versions can coexist. The Smiths should have packed it after first album and The Beatles I couldn’t give 2 shits about. Ocean Rain was the first Bunnymen album I didn’t buy and I’ve never regretted it. But at least they were trying then, they’ve been phoning it in since Evergreen. They even stole the album cover from Jason Pierce. This is just sad.